Undoubting many of you ladies have heard about the joys of child birth and what a rewarding experience it is. To be sure being pregnant and giving birth is one of the most amazing miracles in life. Holding your little one in your arms for the first time brings about a flood of emotions that no words could ever describe. However there is no getting away from the fact that pregnancy, especially an unplanned pregnancy, can be a very scary and very stressful experience especially if you are a first time mom. I am sure many moms and moms-to-be can testify to the fact that once pregnancy has been confirmed your whole world start to revolve around the baby you are carrying. The last thing you want is to give birth in an overcrowded public hospital and given the bad reputation that public hospitals have with regards to child birth no one can blame you. Sadly public hospital is exactly where many pregnant ladies will end up and this is due to the fact that they do not have medical aid coverage. For some unexplained reason many woman in South Africa fail to realise the importance of having a proper medical aid should they fall pregnant. Excuses I have personally encountered is “I am too young to be thinking about joining a medical aid”, “we just got married we aren’t even thinking about starting a family right now”, “I don’t even have a steady boyfriend”, “I’m using contraceptives I won’t fall pregnant”. Believe me the list goes on and on. Ladies, allow me to be frank, if you are sexually active you need medical aid or at least a good hospital plan. You need to ensure that you are covered! Pregnancy will not come knocking at your door asking if you are ready for it. Most likely it will catch you off guard an unprepared. It is for this reason that medical aid for pregnant woman is especially vital. Here are some of the commonly asked questions relating to pregnancy and medical aid coverage. Can I still join a medical aid if I am already pregnant? Unfortunately the answer isn’t black and white. There are several shades of grey. A medical aid will not prohibit a pregnant lady from joining; however there is a chance that she will not receive maternity benefits as her pregnancy may be viewed as a pre-existing condition and pre-existing conditions are not covered by any medical aid. Also keep in mind even if you are unaware that you are pregnant when joining a medical aid you will still not receive maternity coverage as it fall outside the waiting period. If you are pregnant and thinking about switching from one medical aid to another it is of the utmost importance that you make sure of maternity benefits beforehand as your pregnancy may not be covered if you switch. Why is having a medical aid important if I am pregnant? Having a medical aid when you are pregnant isn’t just important it is absolutely vital. Having a medical aid means that your pregnancy will be monitored every step of the way. Should anything go wrong you will have expert medical help readily available. Your medical aid will also cover any treatment you may require due to medical complications during your pregnancy i.e. suffering from high blood pressure, dealing with the baby’s under developed lungs etc. Is there a waiting period for maternity benefits? Generally the waiting period before maternity benefits become available is 12 calendar months; however it is best to confirm this with your medical aid. How can I benefit from having a medical aid if I am pregnant? 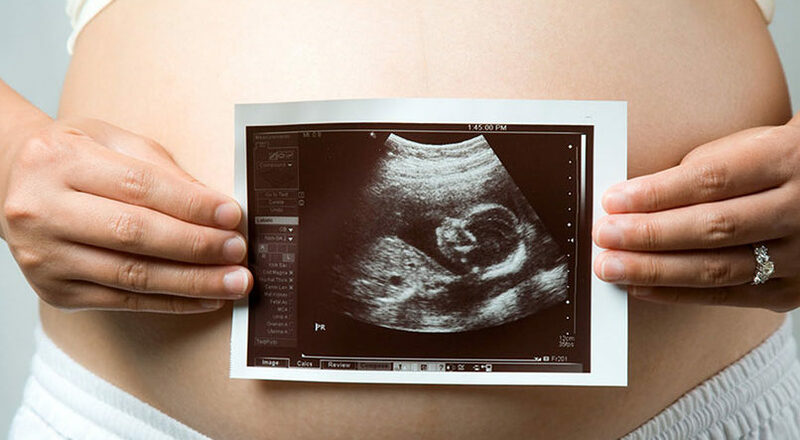 The medical aid will cover your for prenatal 2D and 3D scans, these scans are necessary to ensure that your baby’s development is normal and on target. You are allowed several visits to a gynaecologist (please note that the first consultation to a gynaecologist is usually payable by the member, visits thereafter will be covered by the medical aid). You will give birth in a private hospital, where individual attention can be given to mother and baby by the nursing staff. Your new born baby is automatically covered for the first 30 to 60 days after birth. Within this time you must register your baby with your medical aid to receive further medical care as well as other postnatal benefits. Your medical aid will cover natural birth or C-section births. For me this was quite a relief as with both my boys I had to have a emergency C-section, not only was the delivery paid for by my medical aid but my stay in hospital as well. What postnatal (after birth) benefits are there for me and my baby? Return visits to the gynaecologist to ensure that no complications have occurred. Paediatrician visits for baby (please note that the first consultation to a paediatrician is usually payable by the member, visits thereafter will be covered by the medical aid). Inoculations for baby are also covered by your medical aid. When should I consider joining a medical aid? The best time to join a medical aid is as soon as possible, don’t tempt fate by thinking you cannot fall pregnant because you are being safe. The only way to be truly safe and to have peace of mind is to have medical aid coverage. If you are already on a medical aid or thinking about joining one it may be in your best interest to consider additional gap cover as well although your medical aid may have maternity cover. The delivery itself is very costly and may not be covered in full which could leave you with a substantial shortfall, that’s where gap cover insurance comes in. They take care of the shortfall on your behalf. For more information about gap cover insurance see Gap Cover Insurance – A Medical Scheme Shortfall Solution. Click here to get a comparative medical aid quote.